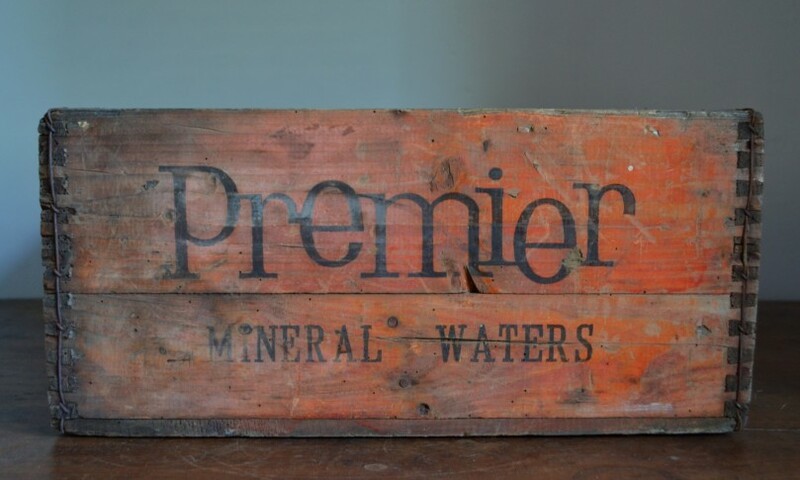 Vintage original wooden bottle crate. 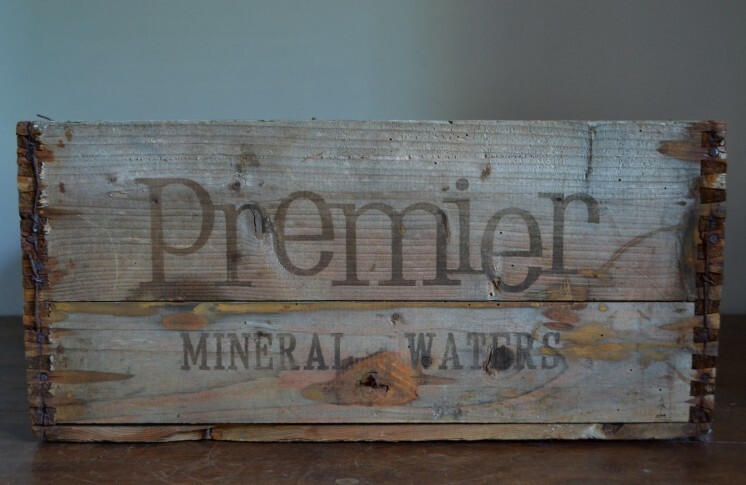 Labelled ‘Premier mineral waters’. Designed to hold 24 bottles. Very rare. Excellent storage solution. 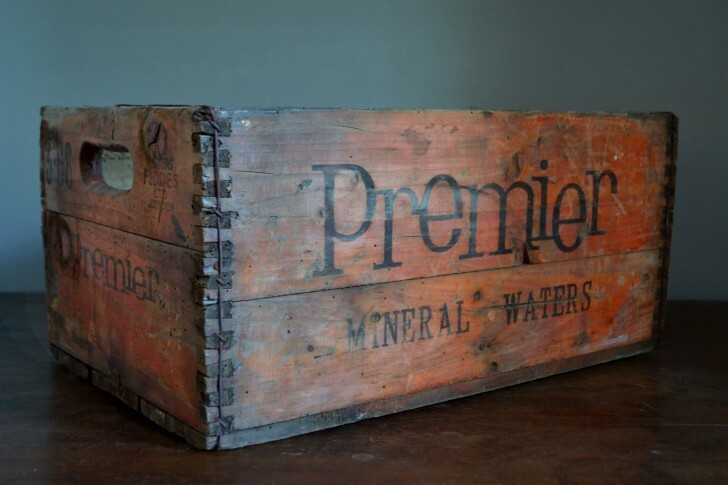 The crate has a well worn, used and rustic look. 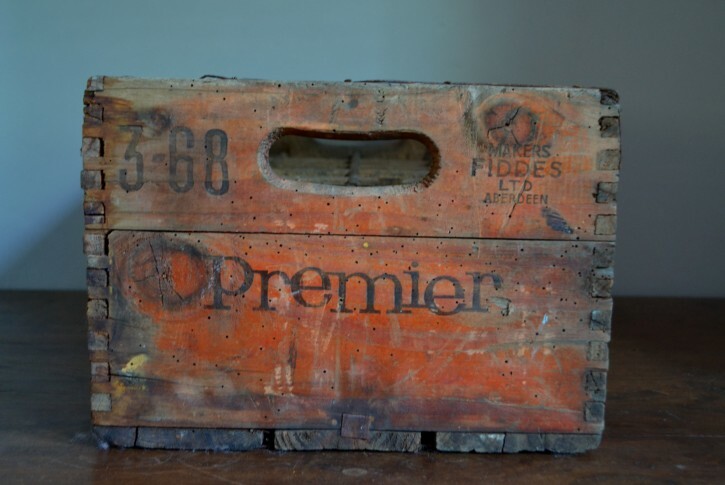 This crate has been used for purpose during its life and as the photos show is scratched, marked, scuffed, knocked, rubbed etc. 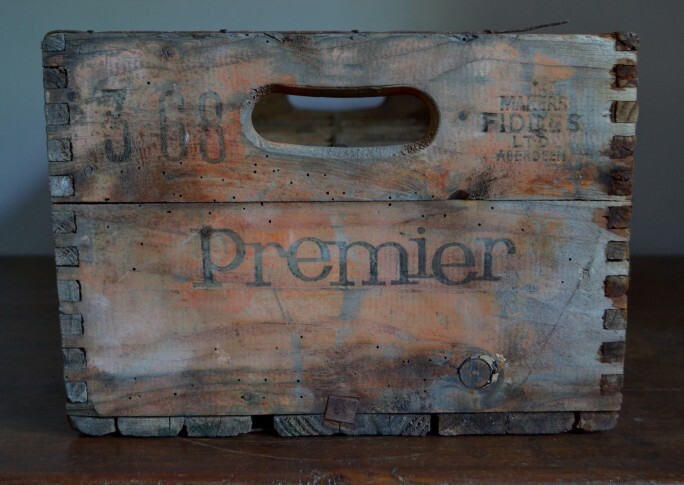 The crate at some point has also had wood worm and there are visible holes in all sides. Very vintage!